The nationally award-winning architecture and engineering firm in Oklahoma City is announcing the gift, along with the addition of six principals, in conjunction with its official celebration Thursday. ”We are steadfastly committed to Oklahoma City, our local roots and the company’s locally owned tradition,” said Gary James, FSB president and one of the new principals. Other new principals are Art Austin, Rick Johnson, Philip McNayr, Fred Schmidt and Allen Brown. 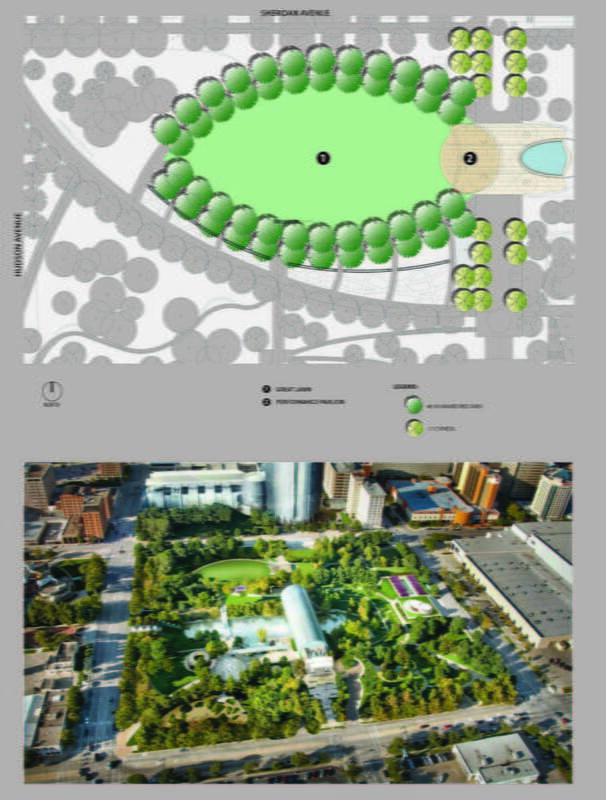 James said the donation of the oak and red cypress trees is dear to the firm’s heart, as FSB is the lead architect and engineer for the current Myriad Botanical Gardens buildings project. Since 1945, FSB has steadily grown and been the architect for much of the landmark architecture in Oklahoma. By 1959, it ranked 75th among all national firms by Architectural Forum Magazine. It employs 110 people locally. First established by CEO Bill Frankfurt and Glenn Short’s fathers, Wally Frankfurt and Harold Short, FSB grew over the years through high-profile aviation, government, medical and commercial projects. Jim Bruza joined the firm in 1963 as an architect and lead designer. Work continued to expand nationally, with offices in New York and Pennsylvania, working with American Airlines. Most prominent recent projects have included MAPS and the Oklahoma centennial dome on the state Capitol. The firm was named MAPS program coordinator for the revitalization of downtown Oklahoma City for the nine redevelopment projects. It served nearly 10 years assisting the city of Oklahoma City in oversight for the $370 million program. It has been named the American Institute of Architects’ Central Oklahoma “Firm of the Year” three times. The Capitol dome received more than 20 national, state and local design excellence awards, and is the most decorated project in Oklahoma’s history. FSB’s imprint is on buildings at the University of Oklahoma, Oklahoma State University, Integris Baptist Medical Center and hospitals at Fort Sill and Tinker Air Force Base. It was architect/engineer of record for the award-winning 30-story Kerr-McGee tower. Most recently, projects have included the Oklahoma State Bureau of Investigation Forensic Science Center, University of Central Oklahoma’s Forensic Science Institute, Devon Energy in Oklahoma and Texas, Oklahoma Christian University and Cameron University.